DEC 3 - 02:00 PM: Cyclone Ockhi is likely to weaken in the next couple of days. Its scale been reduced from ‘very severe’ to ‘severe’ for Monday. 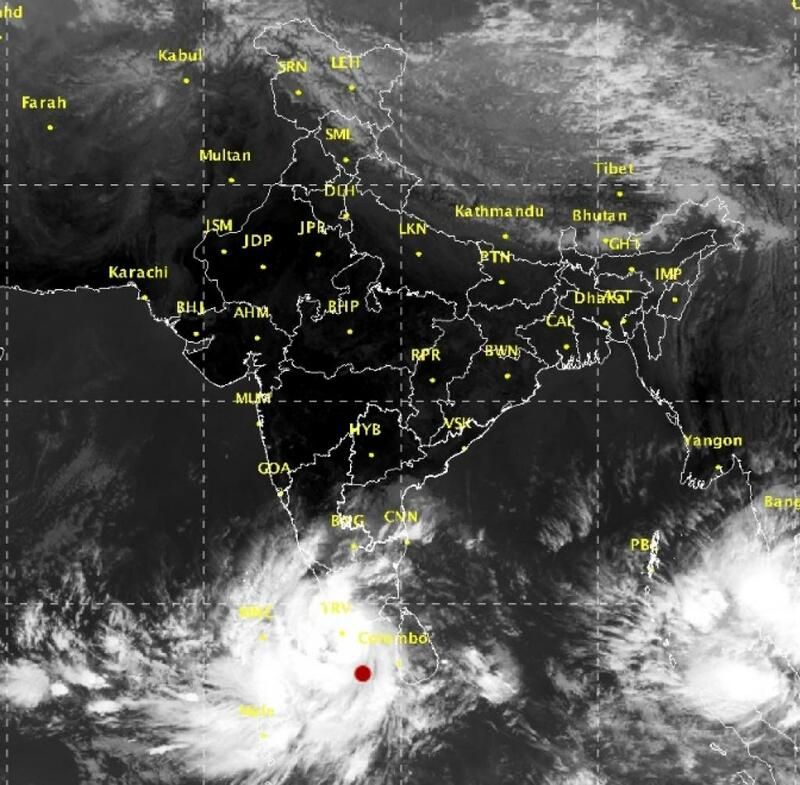 The cyclone is reportedly drifting towards the Indian coastlines of Maharashtra and Gujarat. It is expected to reach Maharashtra on December 4. DEC 2 - 10:00 PM: Cyclone Ockhi made a landfall in Lakshadweep on Saturday and is expected to intensify in the next 24 hours. The death toll rises to 22, with 12 dead in Kerala and 10 in Tamil Nadu. Heavy rains are likely to continue for another 24 hours over Lakshadweep Islands. Strong winds with speed up to 130 kmph are lashing many parts of the islands. According to reports, Kalpeni and Minicoy islands have borne the maximum brunt. Meanwhile, Kerala chief minister wants Centre to declare cyclone as national disaster. DEC 2 - 8:00 AM: The death toll in India due to cyclone Ockhi has touched 12. According to IMD and Indian National Centre for Ocean Information Services (INCOIS), the severe cyclonic storm is likely to intensify further in the next 24 hours and several locations on the Lakshdweep islands would experience heavy to very heavy rainfall and high waves ranging from 4.8-7.4m. DEC 1 - 2: 00 PM: At least 16 people have been reportedly killed across India and Sri Lanka. Nine people were killed in India and seven in neighbouring Sri Lanka. 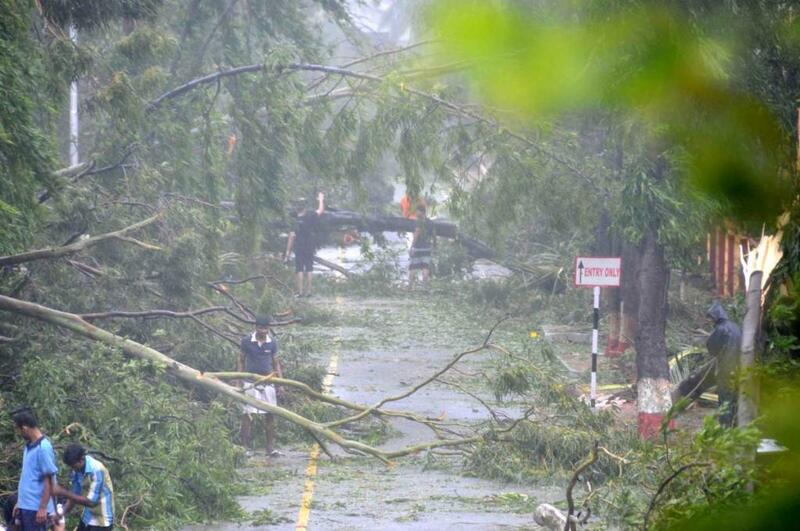 About 100 people are missing after the cyclone uprooted trees and cut power supply for millions. Wind speed has touched 130 kilometres (80 miles) per hour in some places. DEC 1 - 1: 00 PM: Cyclonic storm Ockhi over Southeast Arabian Sea has intensified into a severe cyclonic storm. It is very likely to continue moving west-northwestwards across Lakshadweep Islands during the next 24 hours. “With more sea travel left, the system is very likely to get more marked during next 24 to 48 hours,” according to Skymet Weather. The system will continue to move in warm sea surface temperatures of around 30°C. DEC 1 - 9:30 AM: Cyclone Ockhi killed nine people in coastal Kerala and Tamil Nadu and damaged dozens of houses in Tamil Nadu's Kanyakumari dstrict. It is now moving closer to Lakshadweep. As of this morning, the cyclone is around 160 km east of Lakshadweep in the Arabian Sea. The skymet weather map erroneously shows Kochi as being north of Kozhikode.